Here at Houseproud Home Services, we offer a variety of cleaning services and home services. Sometimes, life can get in the way of the jobs you know you need to do around the house. Ever wished you had an extra pair of helping hands to get those boring chores done? That’s where we come in! Nearly 20 years ago, in 1999, we decided we wanted to help those who needed it. 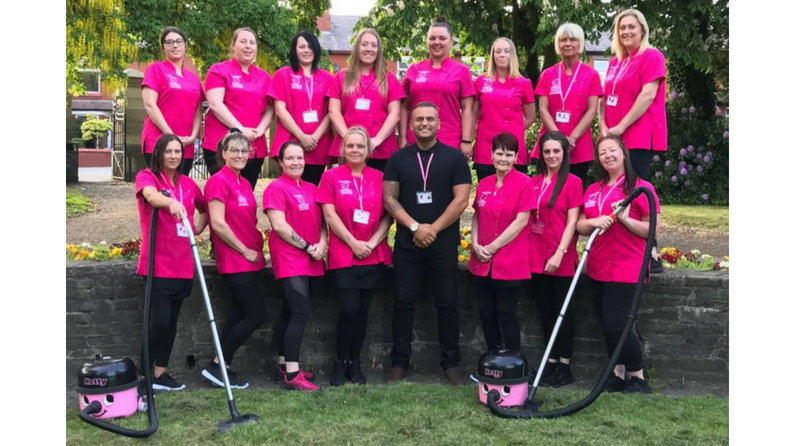 With our friendly and efficient cleaning services team, we can carry out any number of jobs for you, from an end of tenancy clean and deep cleans to moving in cleans and even after party cleans! We all know there’s nothing worse than waking up from a house party to be faced with the remnants from the night before. Let us take care of it all! What’s more, our cleaning services can be weekly or fortnightly, or just a one off to help you catch up. We don’t just carry out house cleans. Our cleaning services also include office cleans, helping to create a more relaxing and comfortable place for you to work. Added to all this, we have many local tradesmen ready and waiting to help with household maintenance jobs. Their professions range from plasterers, electricians, carpet fitters and painters, to alarm fitters, gardeners, bricklayers and drain specialists. Every single worker we employ is approved and vetted, offering you the very best service and price within your area. Wigan Council has put their trust in us and we are recommended by them. We are a local family run business employing local housekeepers and providing help for local people. As well as cleaning services, we also have a team of home help staff who are there to help with local errands, shopping, laundry, ironing, changing beds and meal preparation. We don’t want anyone to be struggling in their own home or feeling lonely and by providing these cleaning services and home help, we hope to alleviate some of the pressures day to day life can bring.